All Titusville homes currently listed for sale in Titusville as of 04/20/2019 are shown below. You can change the search criteria at any time by pressing the 'Change Search' button below. If you have any questions or you would like more information about any Titusville homes for sale or other Titusville real estate, please contact us and one of our knowledgeable Titusville REALTORS® would be pleased to assist you. "Hollystone, a beautiful 24 acre historic estate in Hopewell Township is located next to thousands of acres of parkland. The stately stone manor house built by Uriel Titus in 1819 is over 6600 sq ft with many of the original appointments intact. The many bedrooms, baths and large rooms for entertainment and gracious country living await your attention. A huge stone and clapboard barn holds 2 rental apts, yet the cavernous thresher bay is unchanged. There are three detached rental cottages that all told more than pay for the taxes. Hollystone calls you back to the grandeur of another age. Bring your horses." "Welcome to 4 Keithwood Court! Magnificently situated on over 2.5 acres with a backdrop of woods, a babbling brook and private tranquility this Stunning Six Bedroom Custom Built Home exudes Quality and Craftsmanship. Located in the Exclusive Community of Hopewell Ridge and offering a One-of-a-Kind Floor Plan that is suitable for Grand Entertaining, Family Gatherings, or Quiet Nights by a Fireplace this Finely Appointed Colonial is a Timeless Blend of Sophistication and Comfort. A Welcoming Front Door leads to a Dramatic Entrance Hall where a Sweeping Butterfly Staircase sets the stage. Formal Living and Dining Rooms branch out from the Foyer elegantly flanked by architectural columns. Both rooms feature Bay Windows, Exquisite Moldings and the Dining Room boasts a Stunning Gold Leaf ceiling. The Heart of the Home is the Gourmet kitchen which provides everything for the discerning chef - Endless Granite Counters, Huge Center Island, Custom Ceiling High Cabinetry, Professional Range and Ovens, Sub Zero Refrigerator, Stainless Steel Appliances and a Butler's Pantry with sink and extra dishwasher - Perfect for large groups or cozy dining in the Octagonal Sun-Lit Morning Room overlooking the lovely gardens. The adjoining Family Room features a Hand Carved Fireplace, Cathedral Ceiling and an Abundance of Windows. A Main Floor Guest Bedroom or In-Law Suite with Full Bathroom, a Private Study, Two Convenient Powder Rooms and a Laundry Room complete the Main Floor. Upstairs is just as Impressive comprising of a Luxurious Master Suite with Vaulted Ceiling, Sitting Area, Custom Walk-in Closets, and a Gorgeous Master Bath with Jetted Tub, Double Vanities, and an Over-sized Walk-In Shower. Three More Well-Appointed Bedrooms, one with a Private and two sharing a Jack & Jill Bathroom. A Wonderful Open Loft area overlooks the Family Room. The Walk-Out Lower Level has something for everyone - Fabulous Home Theater with Projector, Screen, and Auto System (All Included); Living/Recrea"
"Jacobs Creek: This prominent property has its origins in the 1700~s. Now a secluded estate of historic significance; this truly unique home is difficult to replicate. Tucked away, the retreat sits on 8 secluded acres of historic landscape, both opened and wooded; perched on a gentle hill. Bordered by Jacobs Creek and State National Historic area, the land is a rich source of artifact treasures and historical references. Described in reference books as the exact location where General George Washington and its 7 brigades with 18 cannons crossed Jacobs Creek in 1776 to fight the decisive Battle of Trenton. The property is accessed by a long tree-lined drive that clears to ample open spaces. The structure is an exemplary fusion of history and modern design reminiscent of Frank Lloyd Wright. The design allows full view of the Creek, its changing sounds and colors in the manner of an impressionist palette. 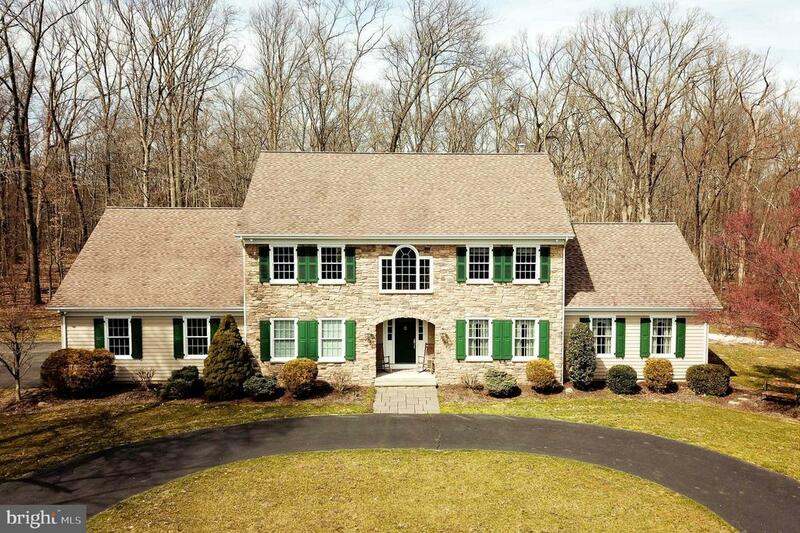 This home offers flexible entertaining from intimate gatherings to 50+ guests. The kitchen has radiant heated flooring, Vermont marble surfaces & back splashes, a built-in wine rack, cathedral ceilings with skylight, a breakfast bar and a sitting area with a window seat; the first floor has a beautifully designed open-floor plan that connects most rooms to a spectacular, versatile, sun drenched Great Room glass gallery with custom wet-bar and hardwood flooring. Adjacent is a more intimate great room with wood-burning fireplace (ready to convert to gas) with custom built, curved built-in shelving and lots of natural light. The dining room has a large Oriental inspired window. Two stairways and an office/studio /potential bedroom on the first floor with adjacent full bathroom. Features 5 bedrooms with the master suite and en-suite full bath, with tray ceiling, dual sinks, glass shower, marble surfaces & flooring, built in and walk in closet. There are 4.5 bathrooms, 2 of which service the other 3 bedrooms. There are 3 garages, two with storage lofts, spaces for 5 vehi"
"Spectacular CUSTOM BUILT Contemporary home situated on approximately 9 park-like acres. As you enter the private and tranquil drive, you pass a stunning pond as you approach Architect Renfro's Masterpiece. Once you are inside this Custom Estate, your eyes are immediately drawn to the expansive windows throughout the entire great room showcasing the magnificent views! The center of the home is truly the focal point with rooms on either side of the massive great room making it the perfect home for entertaining. Every attention to detail has been cleverly thought out. The main floor not only consists of a gourmet kitchen and elegant dining room, but a FIRST FLOOR MASTER SUITE which can also double as a family or media room. The Suite has two rooms separated by a fabulous bathroom. The upstairs which overlooks the massive Great Room, has a Jack/Jill bedroom, and a GLORIOUS MASTER SUITE!In addition, there is beautiful Office. Each room has floor to ceiling windows making sure you enjoy the grounds from literally every inch of this Home! Square Footage is APPROXIMATE and buyer is solely responsible for square footage accuracy!!" 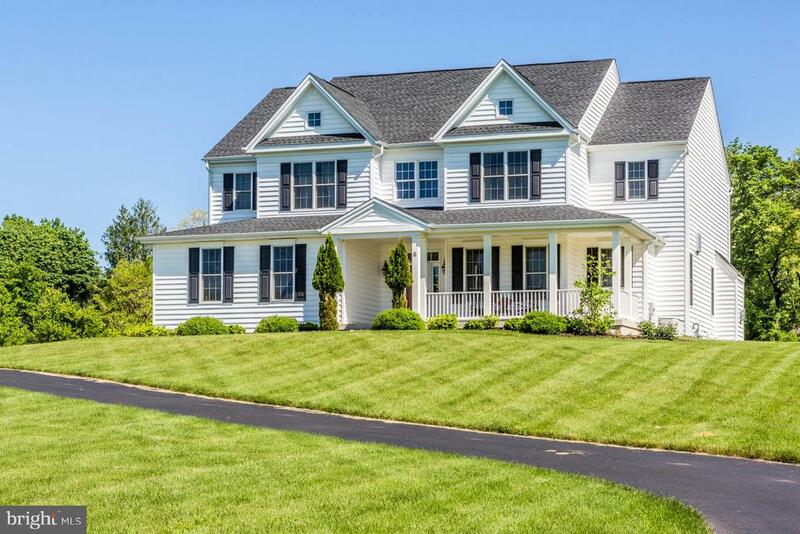 "Timeless style is at the essence of this distinctively designed home in Winding Brook Estates, a small enclave of exclusive homes in Hopewell Township. You'll be hard-pressed to find anything comparable in the area. This custom-designed beauty includes voluminous living and entertaining spaces centered by a spectacular kitchen. Dark wood floors, 4.5 well-executed bathrooms, high ceilings, and 5 spacious bedrooms span two levels. This home was designed for gatherings featuring multiple zones to kick back and relax in. There are formal and casual dining spaces, a fireside great room and an open-concept family room. A mudroom with laundry and a half bath are near the garage entrance, plus there~s a main level in-law suite in its own corner. Upstairs was reconfigured to include a big bonus/playroom in addition to 4 bedrooms - two are suites. The master is a luxurious place to unwind featuring his and her closets and a sumptuous bathroom with a shower for two. Outdoor living is a delight either on the back deck or on the covered front porch." "Nestled at the end of a quiet cul-de-sac on almost 3 acres of a park like lot that backs to 70 acres of preserved common space. 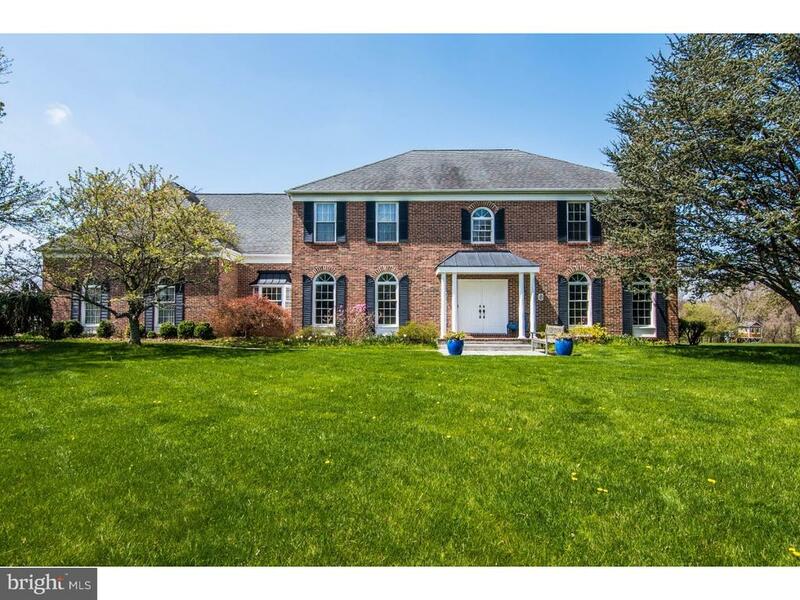 This majestic center hall Colonial boasts large sun lit kitchen with walk in pantry, access to oversized laundry room, 3 car garage & second staircase which leads to Au Pair/guest living quarters complete with its own bath. Classic two story entrance flanked by formal dining room and living room. Library, beautiful family room w/stone fireplace and 2 half baths complete the main living level. Upstairs you'll find the master bedroom with walk in closet, en suite bath and access to guest suite/5th bedroom and the back staircase. Three more large bedrooms and a full bath adorn the second level of this home. Outside you'll find a beautiful flower filled garden, large deck and immense backyard space complete with swings, custom built tree house, lighted volleyball court and still plenty of room to entertain that is only limited by your imagination! An entertainer's paradise, this home has hosted many large gatherings of 100+ guests and has beautiful curb appeal located at the end of the cul-de-sac perfect for outdoor activities like bike riding, rollerblading and walking. High ceilings in basement waiting to be finished. This is the home you've been waiting for!" "Luxury meets Engineer. 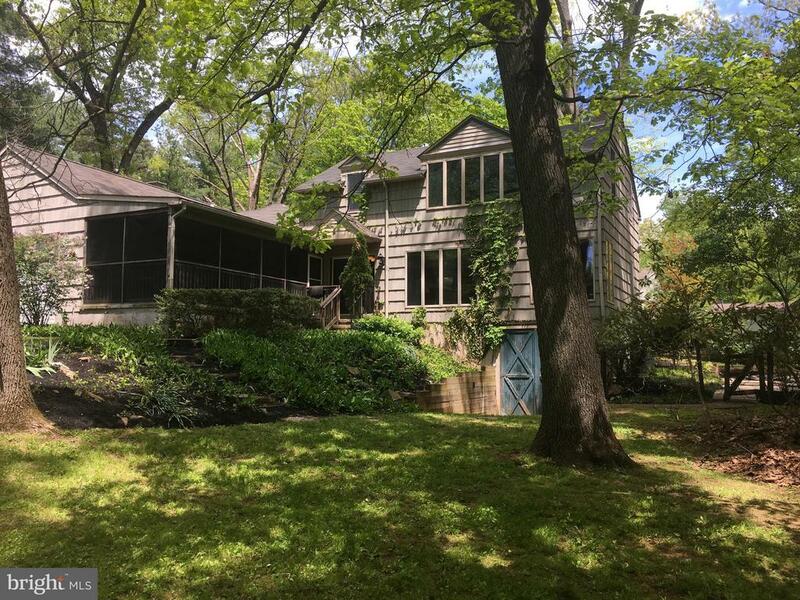 Current owners selected this amazing 6 acre parcel to build their dream home mainly because of its proximity to New York City & Philadelphia yet close to the town of Pennington and Hopewell Township schools. Up the road enjoy the Washington Crossing Park and the scenic Delaware River. Set back from the road, a long drive leads you to the front of this Estate home, surrounded by preserved woods and open fields creating a sense of secluded retreat. Two story entry greets your guests. You will love the entertaining flow of the formal and informal spaces but will be more impressed by the unseen extras including; radiant heat flooring, 1800 sq ft full height basement, 12 in thick concrete wall foundation, under-ground utilities, 8 zone heating, 300 amp electric service and generator hookup, 360 ft well, 3 car over-sized garage fully insulated and also has radiant heat, 18 in steel beams, and tension coil door openers. Also impressive is the huge gourmet kitchen with Dacor double oven, sub-zero fridge, beautiful cabinetry and plenty of counter space to prepare your feasts. Adjoining the kitchen is the sunny breakfast room with sliding doors to the outdoors. Completing the first floor is a spacious family room with a wall of window to enjoy country vistas, large laundry room with closet space, entry to garage, office (or 4th BR) and full bath with stall shower. Upstairs are three bedrooms plus an unfinished guest/au-pair room (currently used for storage). Off the main bedroom is a cozy seating area to sit and enjoy the views. Owners thought out the future by leaving room for an elevator (currently housing a winding stair that leads from the master to the kitchen) Easy commuting with Trenton/Mercer Airport, major train systems, I-295 and Routes 29 & 31. Enjoy nearby vacation towns of Lambertville & New Hope offering fine dining, arts and antique shopping. Come visit today... Theres no place like This Home." "Offering breathtaking vistas of the valley below, with views stretching to Pennsylvania, homes like this are hard to come by! 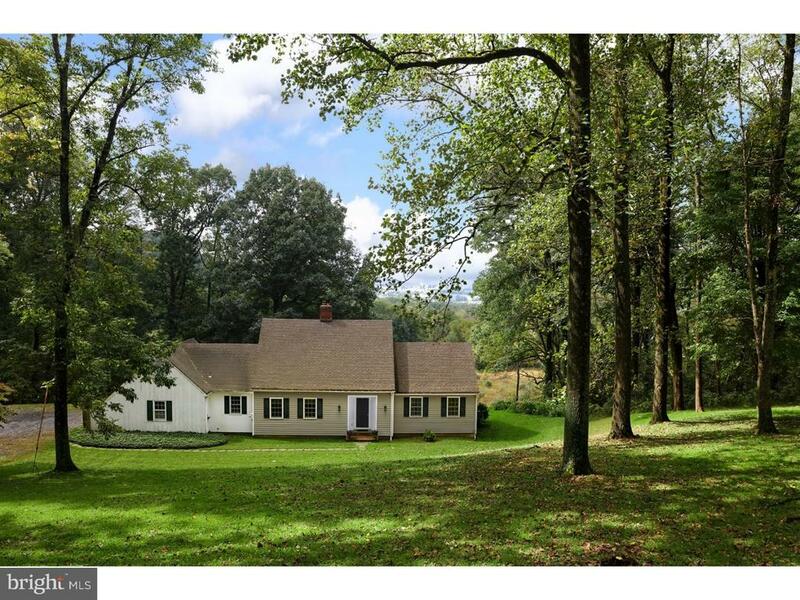 An expanded Cape on 4+ acres, dotted with trees and open meadow abutting preserved land, this home offers the best of life in Hopewell! Here's an unmatched scenic setting close to highly-rated schools, the I-95 corridor, charming river towns, and near the trails of Bald Pate Mountain. Welcoming with a refreshingly versatile floor plan, there are many entertaining spaces to enjoy. The kitchen and living room open to the deck for romantic sunset evenings. A breakfast nook with powder room and laundry are nearby. The dining room can host a crowd behind an attractively arched doorway. The lower level opens to the outdoors to embrace the scenery and includes a family room with vent-less gas fireplace, bonus room with a half bath, and a workshop. The main level master bedroom is a place to retreat and rejuvenate with a Zen-like private bath. Two more bedrooms and a bath are upstairs. A dream come true!" 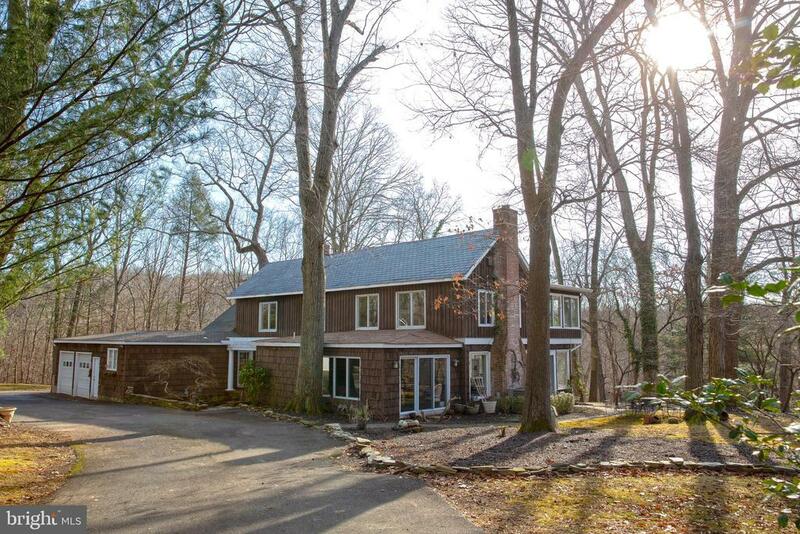 "Nestled on a hill over-looking the valley and neighboring Bald Pate Mountain sits this pretty 4+ bedroom storybook cape, on 7+ picturesque acres. The lot comprised of a sweeping driveway, open and wooded land and sunny mountain and valley vistas, will not disappoint. 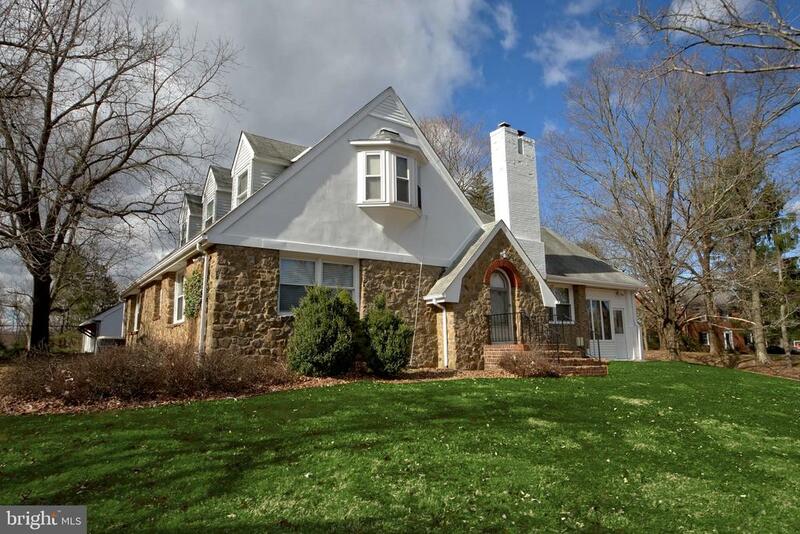 Built with 1950~s classic details, this home still impresses today~s buyer with its gabled roof, dormer windows, custom stone walls, gleaming hardwood flooring, arched door frames, hand built stone fireplace, inviting sun porch with original slate flooring as well as an outdoor slate patio for entertaining. Main level features are: Gracious formal living room with stone wood burning fireplace offers infinite adaptability to any d~cor or color scheme. The dining room with chair rail and architectural paneling is perfect for the hostess who prefers formal dining. Island Kitchen with modern appliances, granite counters and spill proof breakfast or snacking area. Soup or souffle, cooking isn~t dull and routine in this country kitchen. Two spacious bedrooms and a full remodeled bath with twin pedestal sinks and ceramic tiled floors complete the 1st floor. Upstairs is surprisingly large with two roomy bedrooms, updated hall bath, and pass thru bonus room or 5th bedroom. Need more space to entertain? Downstairs has a finished basement with wood burning fireplace, large workshop/storage area, Laundry and an entrance to the back yard. Central air, hot water heating, expansive two-car detached garage with a fenced area for your animals and more. Close to Washington Crossing State Park, the Delaware River and canal walking paths. Enjoy the arts and fine dining in the nearby quaint river towns of Lambertville & New Hope. Minutes to Trenton Mercer Airport with air connections to the North and Southeast USA. 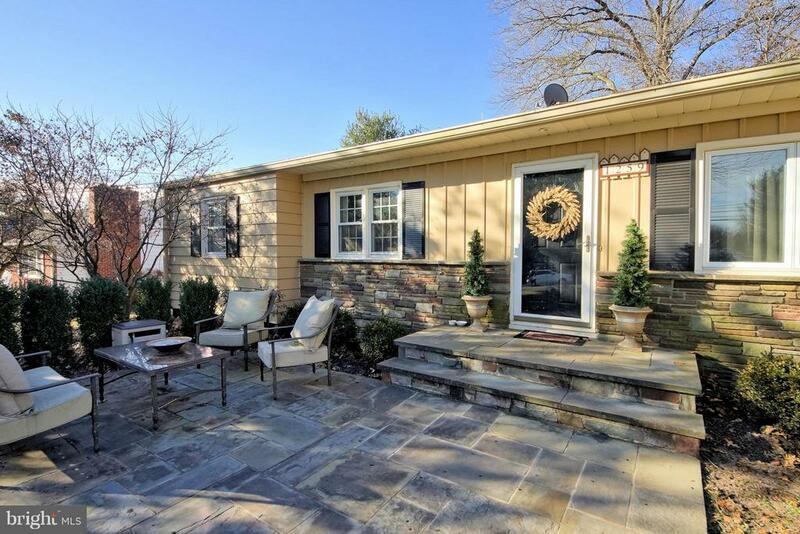 A short commute to West Trenton, Hamilton or Princeton Junction Train Stations. Easy access to Rt 29, 579 & 31, I-295. Centrally located between NYC and Philadelphia. Award winning Hopewell Valley Schools!. T"
"Welcome Home to the Andrew Titus House Circa 1747. A truly authentic, pre-Revolutionary residence, privately nestled on 6.7 acres rising above its own pond and spring house. Spanning over 3 centuries, the home has its origins in two original 18th century portions, with significant additions from the mid-19th century and 20th century. Three front entries offer a unique flexibility of access to the various public spaces of the home, which are remarkably well-scaled, even by today's standards. The most prominent front door with its charming portico leads directly into the now formal living room with its own powder room & warmed by one of 4 fireplaces. Leading from here is direct access to a private main floor office w/its own screened porch, the spacious formal dining room and the adjoining hearth warmed family room. The kitchen, a true heart of the home blending of the antique and current, is centrally located allowing for an ease of day-to-day living, as well as entertaining ? especially with an adjacent 40' long window-lined gallery, currently furnished as a warm & welcoming den. The rear elevation of a fireplace's exposed stone wall serves as an ideal backdrop to the commercial grade range that conveniently faces a spacious granite island, across from the raised hearth brick fireplace. A main floor laundry, dual staircases and a 1st floor full bath ideally round out the unique feel of the main level. Character, charm and period authenticity are hallmarks of this home ? with all of the modern day simplicities. Upstairs, the 5 generously sized bedrooms, with more than ample closets, 2 full baths and a charming sitting room are laid-out so as to maximize privacy, offer potential for re-purposing and invite enjoyment of the far from cookie cutter design. The grounds, rising up from the pond at the front & dotted with mature segments of woods, wrap around an inviting in-ground pool that is tucked just behind the home. 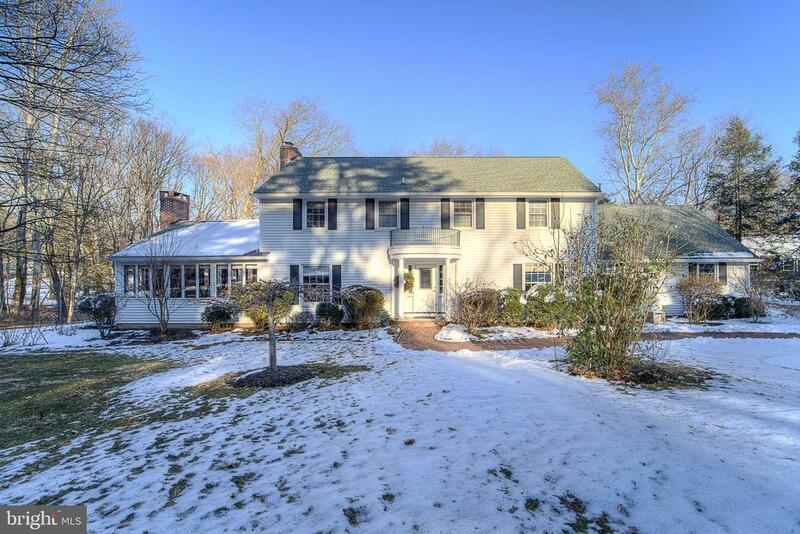 Privately located, through a trellised "
"Set in the River Knoll neighborhood of Hopewell Township, this elegant traditional colonial takes advantage of the bucolic views of nature in every direction. Step into the foyer and you will immediately notice the hard wood floors and well thought out floor plan. On one side find the formal dining room with custom moldings and chair rail, and on the other, the formal living room with gas fireplace. There is more, keep going and walk into the large and light filled 4 season sun room. With windows on 3 sides, another fireplace and access to the deck, this room brings the beautiful views inside. The eat-in kitchen with white cabinets and hard wood floors, includes a breakfast area that has views out the bay window of the back patio. Conveniently adjacent to the kitchen is another family room with built in shelving and cabinets and opens to the patio. All four spacious bedrooms, including a master bedroom suite, lots of storage and a hall bath are located on the second floor. The partially finished basement with carpeting adjoins the laundry room and utility room. River Knoll is a well-established community located close to the river towns and not far from the commuting hubs of I-95, Route 29, Mercer Airport, Septa and Amtrak stations." "You will feel you are living in a country retreat with almost six acres surrounded by preserved land. Situated on a pretty country road, the circular drive leads up to the front entrance of this California ranch with wide overhangs. The living room with picture window, stone fireplace beamed ceiling and hardwood floor flows into the formal dining room. The vaulted ceiling of the dining room has one of the five skylights, built-in cabinets and sliding door to the rear deck. The kitchen has a French door to the step down front to back family room with vaulted ceiling, natural wood walls and access to the rear deck. A short hallway leads to a private generous bedroom with another vaulted ceiling and full shower bath. A surprise storage room has the second laundry area. The opposite end of this ranch home has a double sized bedroom with beamed ceiling and five windows, plus another large bedroom with full bath with soaking tub and double closets. A third full bath is off the hall. The enormous partially finished full basement could easily double the living space. Outdoor extras include large rear deck and an over sized garage with storage and a separate garden shed." "If you truly love nature, you will find beauty everywhere in this 4+ bedroom, 4 bath, 3766 sq ft. stone front rustic ranch retreat, located on an exceptional, one acre wooded lot in Hopewell's desirable River Knoll neighborhood. Its the perfect place for you, your family and friends to relax and enjoy the good life. This custom built home inspiring interiors pay tribute to mid-century design with continuity, an easy flow, and 2 full levels of living space. The open L-shaped floor plan offers influx of natural light, loads of options and space for concurrent family activities, and is ideal for multi-generational living, merging the formal and informal, for ease of entertaining, unwinding or study. Combination formal living and dining area is adorned with brick fireplace, sunny picture window and gleaming hardwood floors. The spacious country kitchen has an abundance of cabinets and counter space plus a large center island bar with seating for 6 bar stools. Sliders from kitchen overlook the backyard and patio, with enough room for a generous dining table and outdoor living area. Enjoy gaming, movies or a quiet read basking in the warmth of a raised hearthstone fireplace in the sun-lit family room. Spacious 2nd floor master bedroom suite features generous master bath lined with California redwood, extra-large soaking tub, attached 9 x 9 sitting/dressing room, and brick fireplace. Bedroom two and den have their own separate full baths, and bedrooms three and four comprise a princess suite sharing a Jack and Jill bath. Ample storage space, oversize main level laundry room, enormous walk-out basement, clever walk-in attic space and attached 2 car garage. Idyllic rear yard with expansive deck overlooking in-ground pool and lounge area. Screened porch surrounded by lilacs, lily-of-the-valley, other perennial flowers and shrubs provide a virtually year round natural perfume. 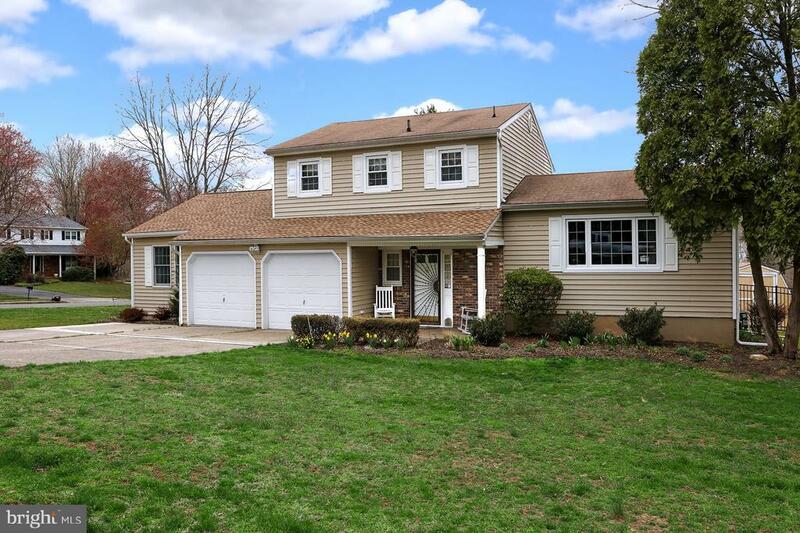 Whether watching the sunrise or sunset, or having family and friends over for a back yard barbecue, y"
"Welcome home to this spacious colonial with 4 bedrooms, 3 baths, 2 car garage on over 3/4 acre land with a corner lot has so much to offer. Freshly painted neutral coloring and newly refinished hardwood flooring throughout with a living room and gas burning fireplace. Sit down to eat in the large eat-in-kitchen with separate dining room. Master bedroom with sizable closet space and master bath with newer standup shower and vanity. Three other generously sized bedrooms and separate full bathroom with newer tub and vanity. Home also has partially finished basement, 50 year Timberline Ultra High Density UHD roof, solar panels with no electric bill, whole house 14.5 kilowatt generator supplied by natural gas line available in the area, security system, and gorgeously maintained landscaping to enjoy on either your patio or deck. 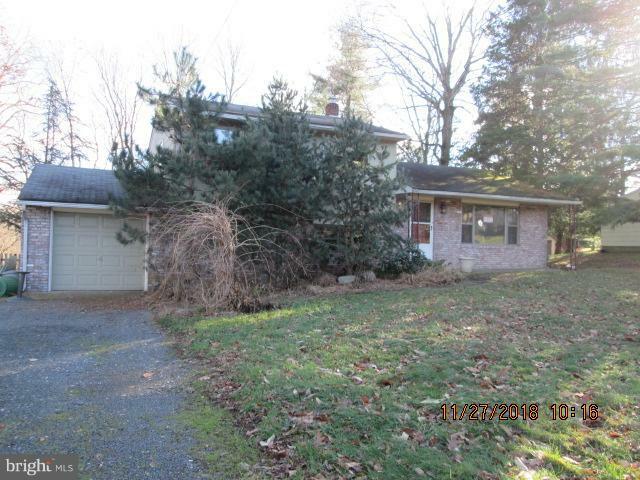 Close proximity to major highways, Capital Health Medical Center and located in Hopewell Valley School District." "Don't be fooled by the exterior of this home! 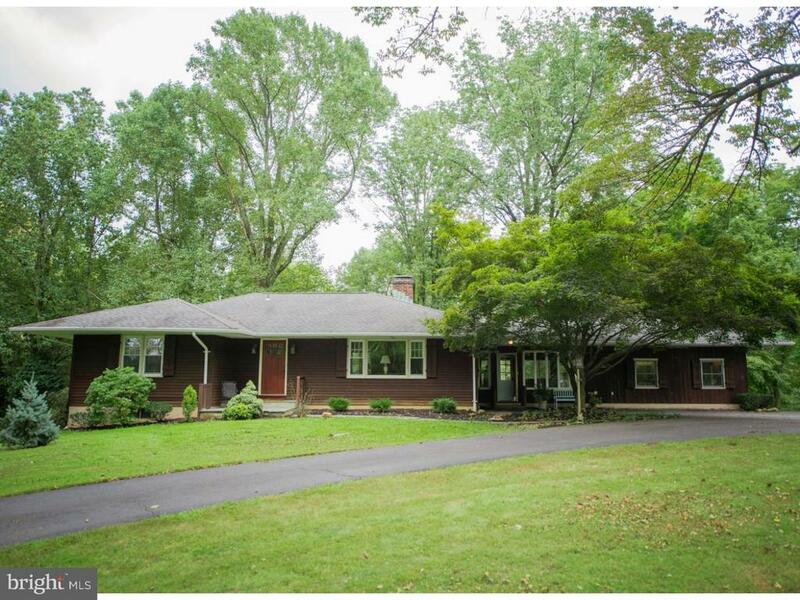 This extended ranch will exceed your expectations w/its immense layout & original charm. 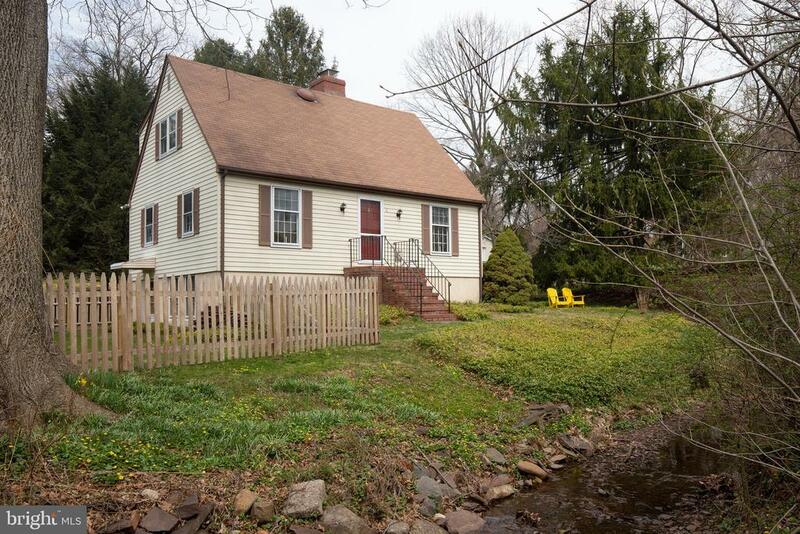 Situated across from Washington Crossing State Park in sought upon Hopewell Twp. this home is sure to please any new owner. New siding (2015) Fully finished basement. Updated kitchen. 3 BRs w/potential 4th. Minutes from Bear Tavern Elementary, train station, major highways & much more! Foyer entry gives a warm welcome & guides you through French doors where you're found in the LR w/picturesque windows & a custom brick fireplace that bestows a pleasant surrounding. Gleaming HW floors furnish the entire home. Updated EIK feats. granite counters, marble flooring, & cherry cabinets. Each BR generously sized. Exposed beam ceilings in the master suite add to it's country style charm! Private bath in the master. 2nd brick fireplace, guest rm, and spacious rec rm in the basement. Large fenced in yard on a serene .6 acre lot. A must see!" "Enjoy amazing sunsets from the backyard deck or bring your friends over and sit around the cozy fire pit. Either way, you will relax in your own country home oasis that backs to 40+ acres of preserved land. Features include: Beautiful Bluestone paver path entry, stone wood-burning fireplace, hardwood flooring, remodeled kitchen with granite counters, custom built in breakfast bar (made from a wine barrel from Hopewell Valley Vineyards) three bedrooms, tiled hall bath with radiant heat floors and a half bath in the main bedroom. Laundry room/mud room on main floor. Fully finished basement with a home theater and a bonus room (could be 4th bedroom or office space). Outside is a two tier deck and a workshop/shed (large enough for a car) with electric. 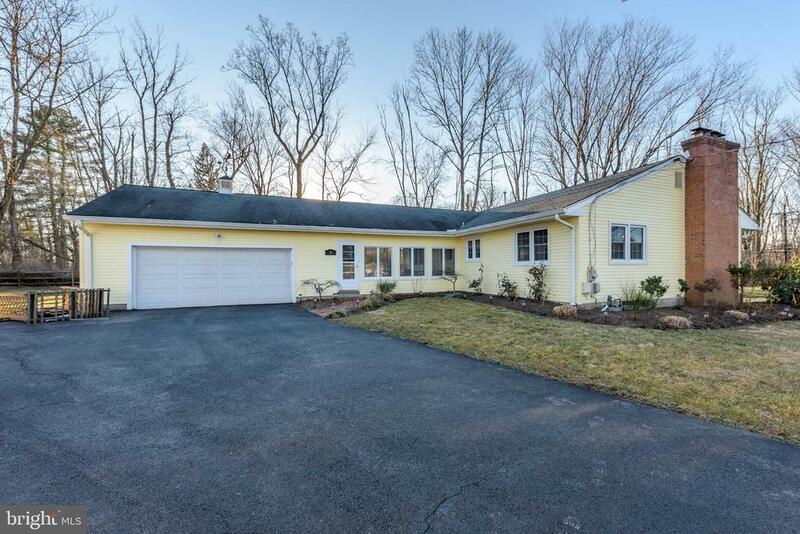 This immaculate home is convenient to I-295 (5 minutes up the road) and close to preserved mountain trails, canal paths, Delaware river (bring the boat & jet skis) shopping, banking restaurants and more. Come visit and take in the views. Central to Philadelphia & New York City plus minutes to Lambertville and New Hope. Commuters, I-295 and the train station is just up the road. Walking paths in nearby Washington Crossing Park and the Delaware River. Why travel to go on vacation when you live in a town that offers so much. Hopewell Valley schools too!" "With a fresh, contemporary feel, here's an updated home near the much-loved Mountainview section of Ewing that can accommodate the rough and tumble of everyday life. Four comfortably sized bedrooms and 2.5 light and fresh bathrooms including a new private bath in the main level master addition are all thoughtfully designed. Attractive flooring is found in many rooms. The most welcoming feature in the house is the open-concept kitchen and dining areas with zones for socializing, eating, and cooking. These modern spaces are flanked by the living room with a big picture window and the family room that opens out to an entirely fenced backyard. Three bedrooms are up a short flight of stairs and feature plenty of space for study, sleep and storage with an updated bathroom with a whirlpool tub in the hall to share. In an established, super-convenient neighborhood, with mature plantings and a covered deck for outdoor enjoyment, prepare to be impressed!" "Perched on a beautiful country road with river and canal views, find this charming, thoroughly updated Titusville cape. Gleaming hardwood floors run throughout the home, beginning in the entry foyer and leading onwards to the handsome living room with stone fireplace and shiplap paneling. Adjacent to the well-proportioned dining room is a renovated kitchen featuring custom cabinetry, soapstone and maple countertops, stainless appliances, and handmade terra cotta tile floors. A convenient powder room is also located on the main level, while a spacious walk-out basement offers plentiful storage, playroom and utility space. Upstairs find three bedrooms and a full bath. Enjoy quiet tranquility from the fenced yard while observing a gently rolling stream that runs through the property. A detached two-car garage and long driveway offer ample parking. A new septic system and UV filtration were both installed within the past two years. 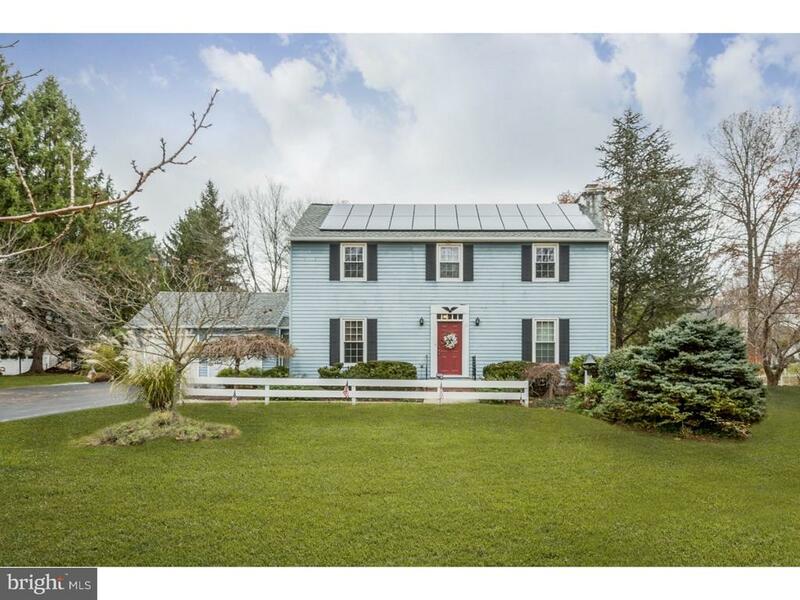 Take in the best of the region just a short walk from the D&R towpath, and mere minutes to Lambertville and major commuter routes, all within the highly desirable Hopewell Township school district!" "2-story, Single family residence consisting of 3 bedrooms and 1 full and 2 half baths. Property features large front and rear yards, and central air. Stainless steel appliances and tile flooring in the kitchen." 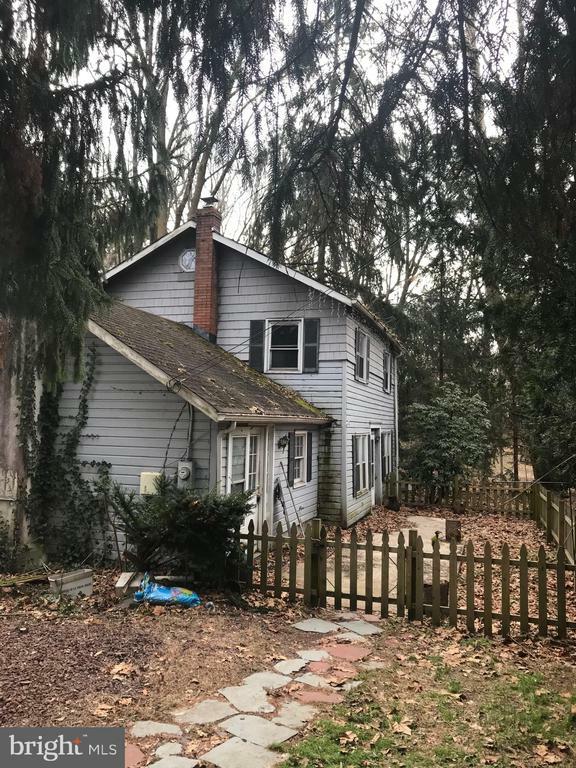 "Opportunity to own 1.94 Acres in Hopewell Township with 2 Pre-Existing Homes. The value is in the land. The Large Main house has 2 Bedrooms and 2 Bath, Dining room, Living Room. The smaller Guest house is across the creek and through a separate access (at 10 Coleman Lane in Titusville) has 2 bedrooms and 1 bath. Use one as your home and the other as your office or as a rental. Build your very own dream house. Right across from Washington State Park. Walk or Bike the towpath or explore the park. Property is Sold Strictly 'AS IS'. 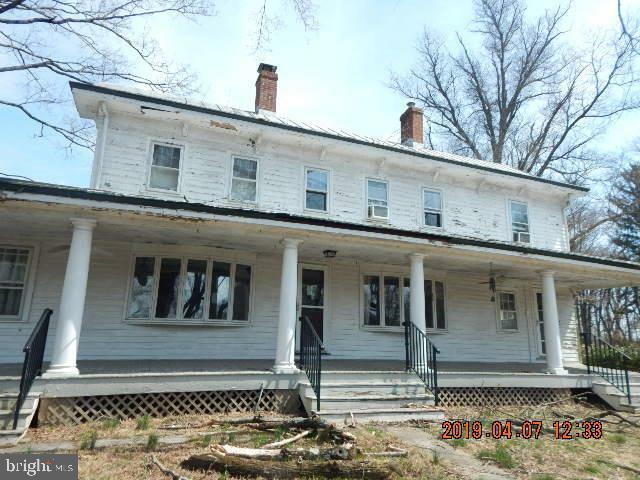 All inspections and testing are at the buyer's cost and discretion"
"Unique Farm House offering historic features built in 1840! Property features a large lot in Washington Crossing section of Titusville, large full front porch, detached garage converted to office/studio, living room with built in book shelves & fireplace, hardwood flooring throughout, newer well, McClain furnace, large brick patio, pond, metal roof, walk up attic for storage and more! The possibilities are endless. Bring this back to its original beauty. Buyer is responsible for the Certificate of Occupancy. This property may qualify for seller (vendee) financing. Property was built prior to 1978 and lead based paint may potentially exist."